We’ve been talking mostly about food, but I thought I would switch gears and introduce you to some of the team that keeps the blog running behind the scenes. I can’t think of anyone one better to start off my TFT (Table Fare Team) team biographies than this first member. What I love best about this guy is that he is always around to help keep me grounded and stay in the moment. When I find that I’m getting stuck, he always something to say to help keep me moving forward. Team morale is his primary focus because of the importance it plays in allowing me to find my voice. He always is encouraging me no matter how I feel. I mean, could you ask for a better staff member than that? Make no mistake, while team morale is his thing, he isn’t going to let you off the hook and just skate on by. Oh no. Not him. He demands and expects the best and makes sure you know it too. When I brought him on board, this staff member was excited, but timid. He wanted to help, but wasn’t sure his skill set would match my dynamic vision for the blog. Although we struggled at times, we never gave up on each other. Even in the heat of the moment, we would find a way to come together and reach for more. He has turned out to be super hard worker and often stays late. I couldn’t ask for anything more than that level of dedication. In addition, he loves to learn and is always curious about what I am up to. Also, he is always near by so when I need help I have him to lean on. This is especially important when it comes to recipe testing. However, his excitement can sometimes be problematic as he loses his focus easily. He knows this is one of his issues and tries to work on it as much as he can. What else can I say about him? Well, he is charmer. Women love him! Ladies, he is single too! He can be the life of the party and is always ready to have a good time. He loves the outdoors and moon-lit walks on the beach. He is kind, compassionate, and caring. He is very funny and loves some adventure. Truly a good guy all the way around. So, who is this amazing partner in crime?? That’s right! Say hello to Blitz! This is the man! 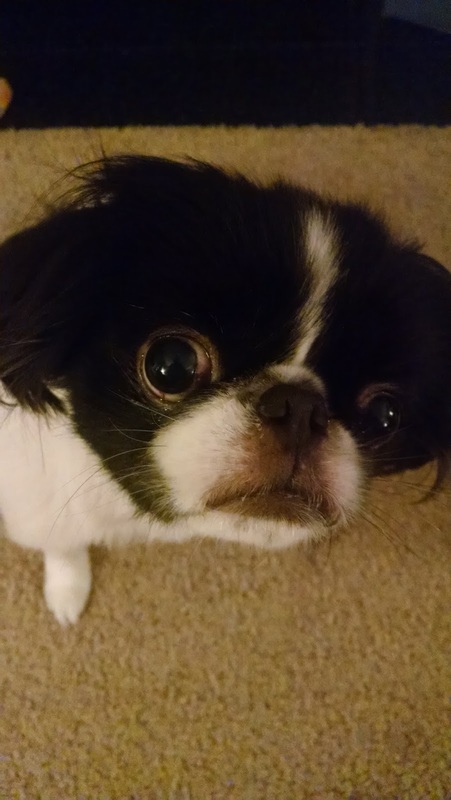 He is a Japanese Chin, which is part of the Spaniel family, and weighs about 14 pounds. He is the nicest guy, but he is aptly named. He loves to play, seek attention, and has tons of energy! He often curls up next to me while I’m writing. When I don’t have the laptop and I’m reclined, he will climb up and lay on my chest and just relax. That is quality time if I do say so! How can you not love that face? Stay tuned as I will have more team updates to come. Also, there is a lot of new content I’m working on to add to the blog as well. So, keep checking back for that!